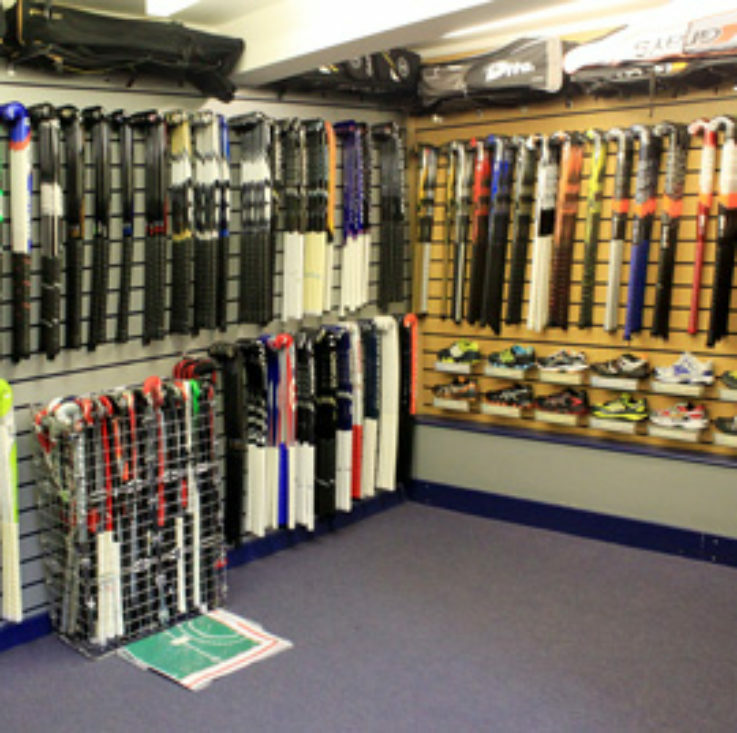 Hockey – Gyles Bros Ltd.
Large ranges of Hockey sticks from adidas, Aratac, Dita, Grays, Gryphon, Kookaburra, Mercian, TK, and Zoppo; with prices ranging from under £20.00 to £300.00; with most sticks discounted to match the main Internet websites. Sticks from 24 inch for six year olds and under; through 36.5 inch, which is the standard full size stick; up to 39 inch. Most players, from an age of about 12 (depending on build and ability) will use a 36.5 inch stick; it gives a good combination of control, reach and hitting power. We can cut sticks down in length should it be necessary. Good range of grips in stock which can be fitted on your stick while you wait at no extra cost. Large ranges of Hockey astro shoes from adidas, Asics, Dita, Grays, Kookaburra, and TK; sizes from 13 to 13; prices from under £35.00 to over £100.00. Specific mens, womens and junior shoes. Good ranges of protective shinpads, astro gloves, and short corner masks. Hockey kit bags to hold from one stick to all your kit; prices from under £10.00 to £80.00. Hockey balls for match and training use with quantity discounts available. Limited ranges of goalkeeping equipment in stock.